With the progress of globalization, "attractive cities" that are magnets for a range of resources, such as people, things, capital and information, are taking on even greater presence. In addition, there has been a heightened interest in Tokyo as a truly international city for the 2020 Olympic and Paralympic Games. In light of these changes, "enhancing urban competitiveness" is increasingly seen as a significant issue. 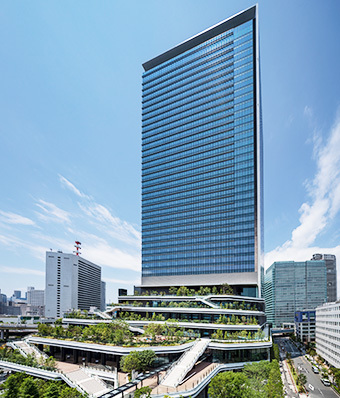 We are moving forward with urban development projects in many parts of Tokyo for the future, with a focus on promoting the growth strategy adopted by the government and capitalizing on inbound demand. 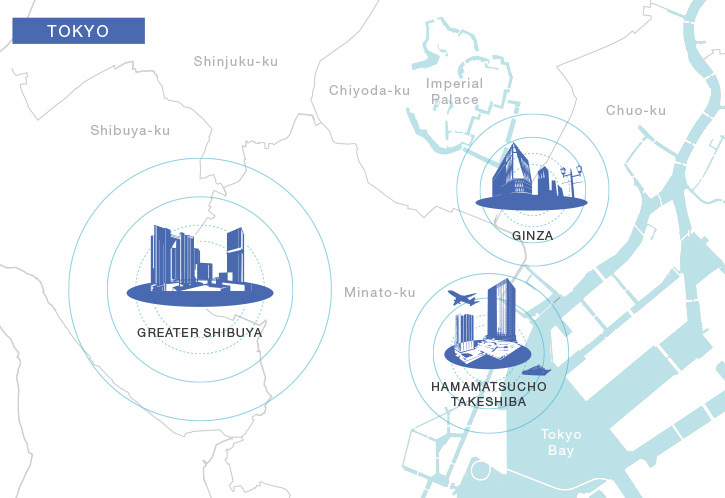 At present, we have multiple large-scale projects underway in three areas of Tokyo: Shibuya, Ginza, and Hamamatsucho & Takeshiba. In our home turf of Shibuya, located on the western side of Tokyo, redevelopment projects that are said to come around only once every one-hundred years are underway around Shibuya Station. 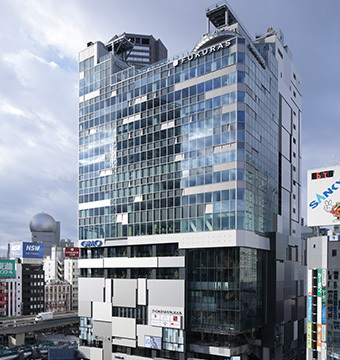 Broad-range town creation in the Greater Shibuya Area as well as adjacent areas is intended to revitalize the entire area. In addition, projects for creating new flows of people in Tokyo are underway in the eastern parts of Tokyo. 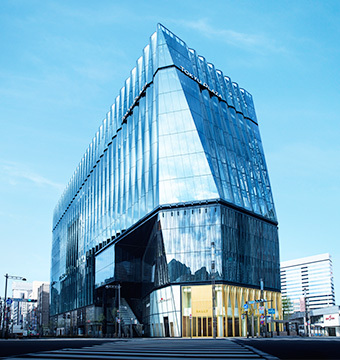 The company has made its first foray into Ginza, Japan's largest commercial district, and is undertaking the urban redevelopment of Hamamatsucho & Takeshiba, one of the gateways to Tokyo. People live, work, and play in the city. We aim to help all people who live in the city enjoy fulfilling days every day while leading their own lives. "Creating cities that enrich people's lives"--that is our aspiration for urban development. Secure the No. 1 position through development that connects the "dots" on the "blueprints." Create a new form of "prosperity" for a city where tradition and innovation coexist. Create a gateway to Tokyo as an international city that welcomes guests from all over the world.